The Apple Watch comes with an aluminum case, but that’s not going to make it unbreakable. 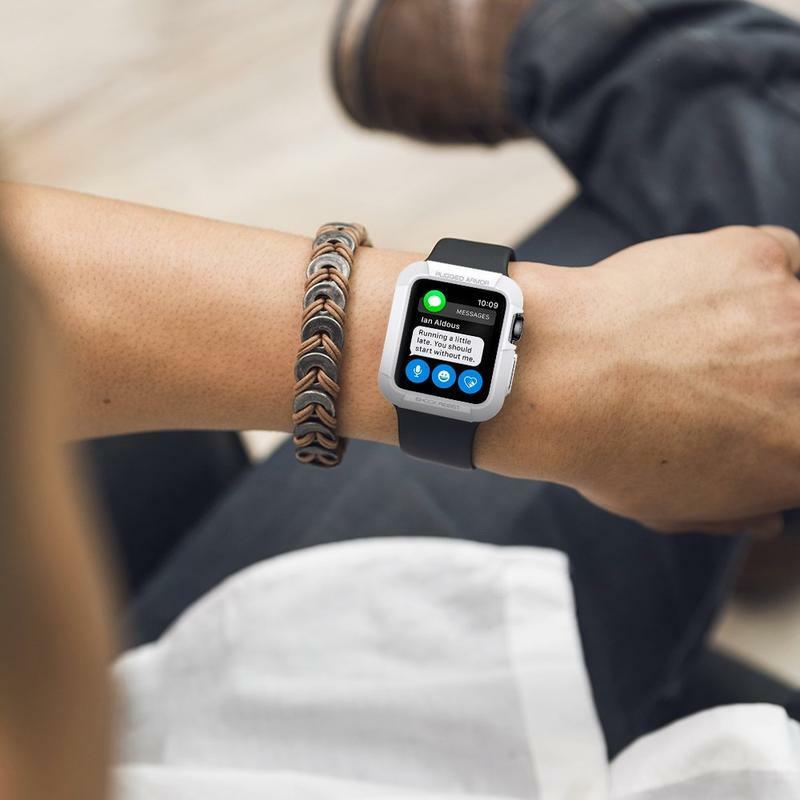 Your smartwatch’s body is still susceptible to scratches and cracks. Perhaps you’d like a case to prevent damage of any caliber. 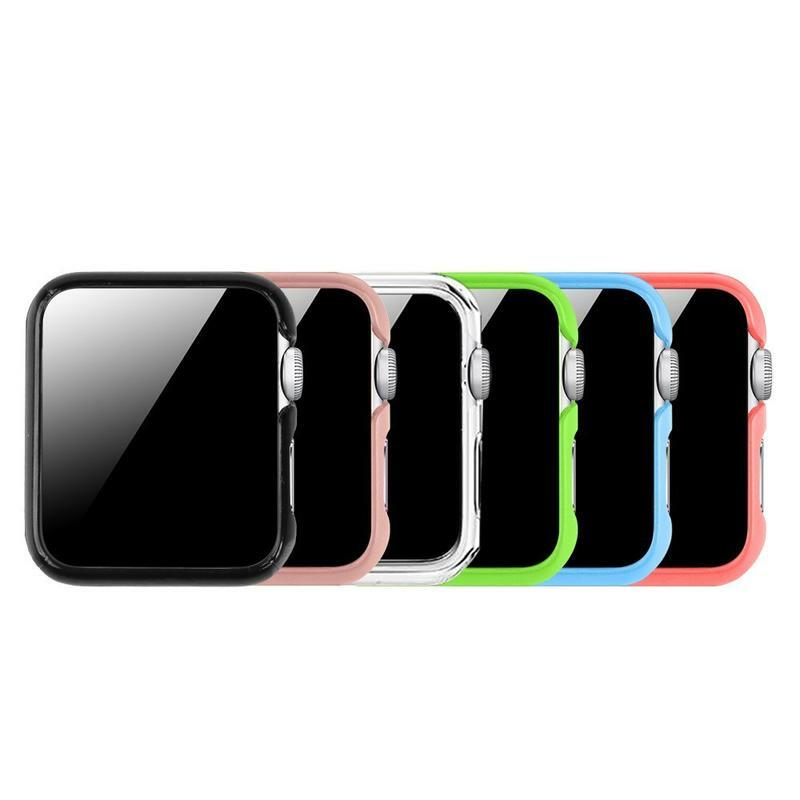 Various brands offer cases for the Apple Watch, and you can get one that matches your unit’s color and your own personal style. 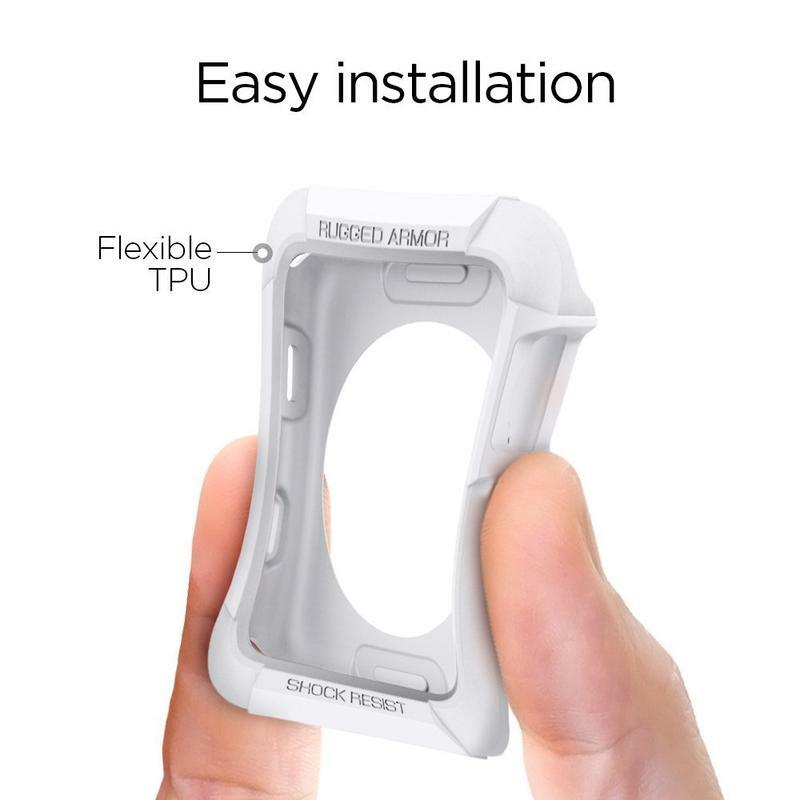 As a reminder, check the size of the case you’re interested in before buying. 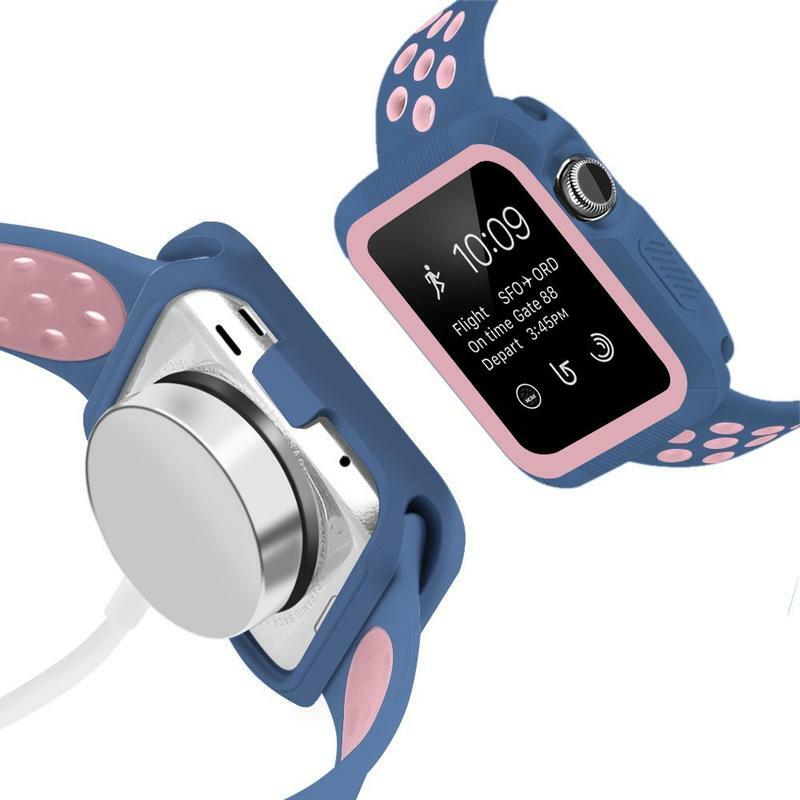 The Apple Watch comes in two sizes; therefore, you need specific case for proper use. 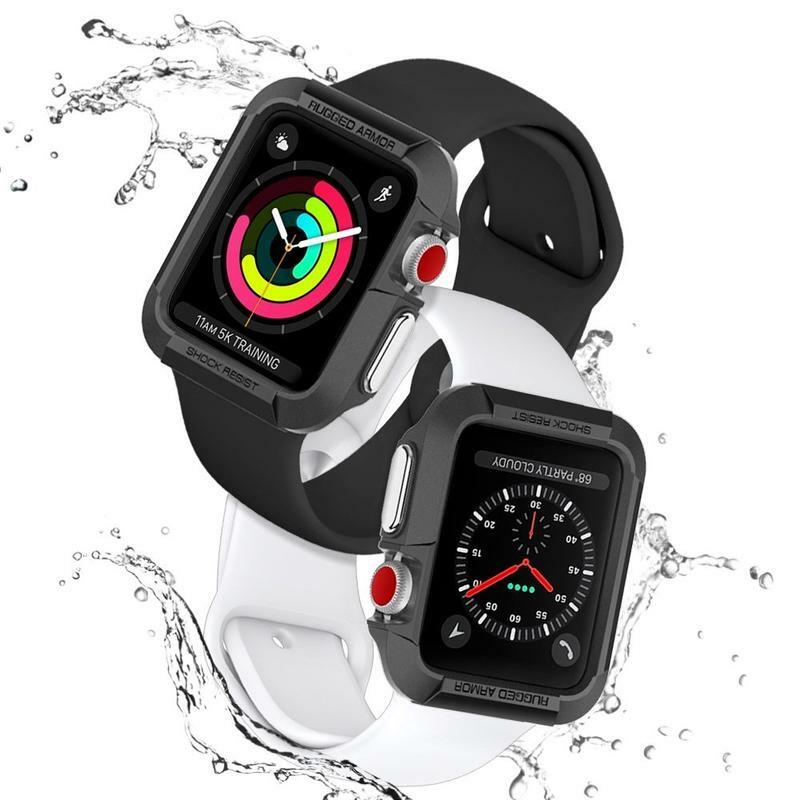 Our recommendations, fortunately, are offered in both 38mm and 42mm so you just have to choose rather than search around. 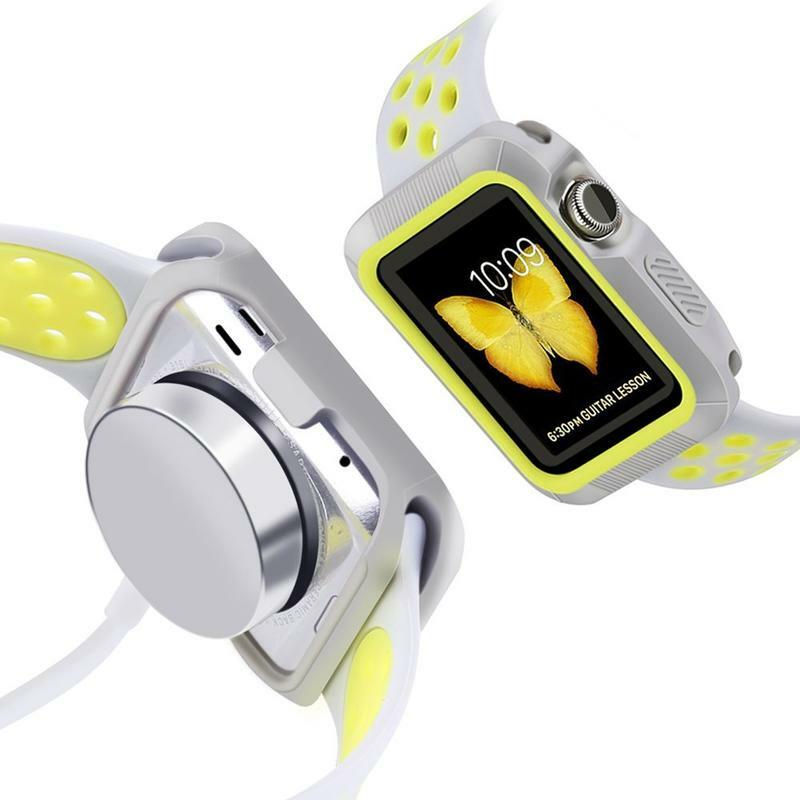 Here are some of the best cases for the Apple Watch. 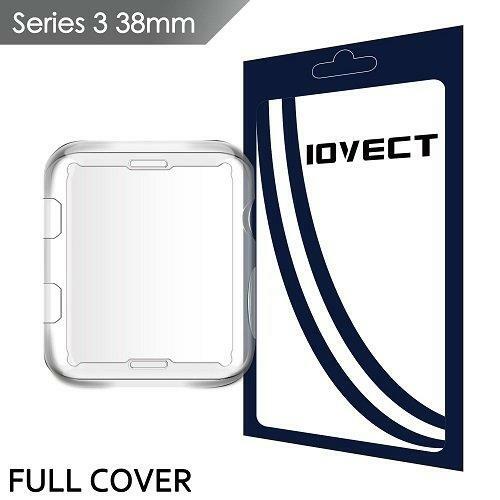 You want total protection without any unsightly bulkiness, and that’s what IOVECT’s transparent case provides. 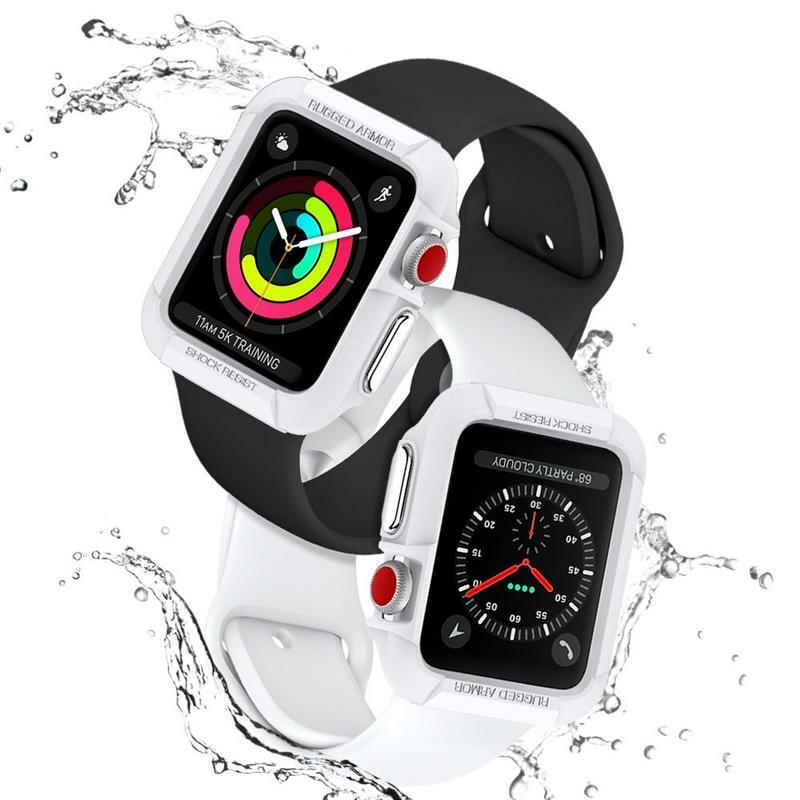 Its design covers the sides as well as the display to prevent dust, fingerprints, and scratches from ruining your Apple Watch. 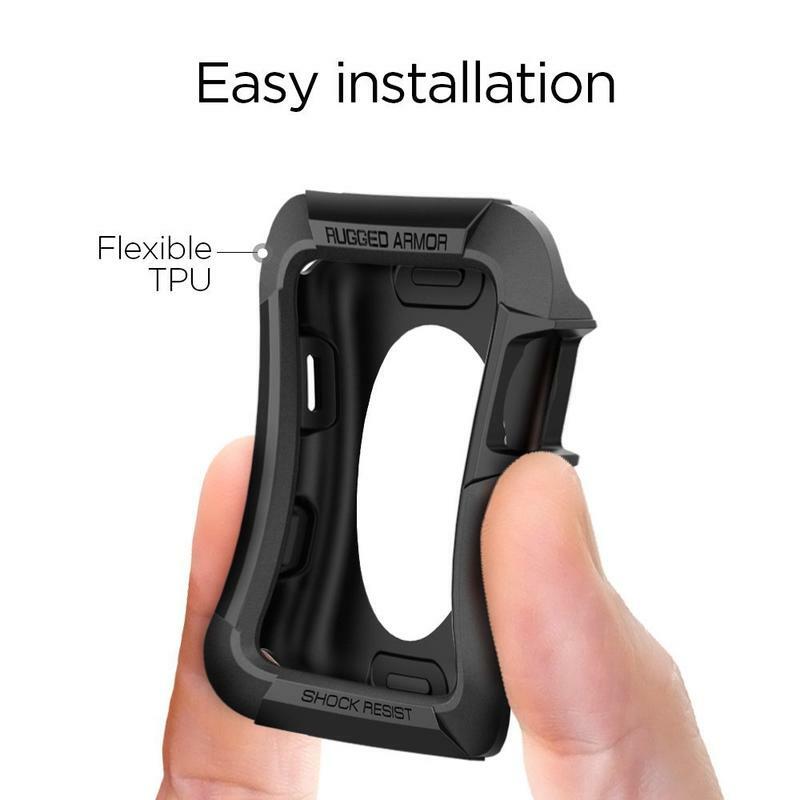 IOVECT uses a thermoplastic polyurethane (TPU) like the material found on most phone cases; therefore, your smartwatch could even hit the ground after a drop and survive with little to no damage. 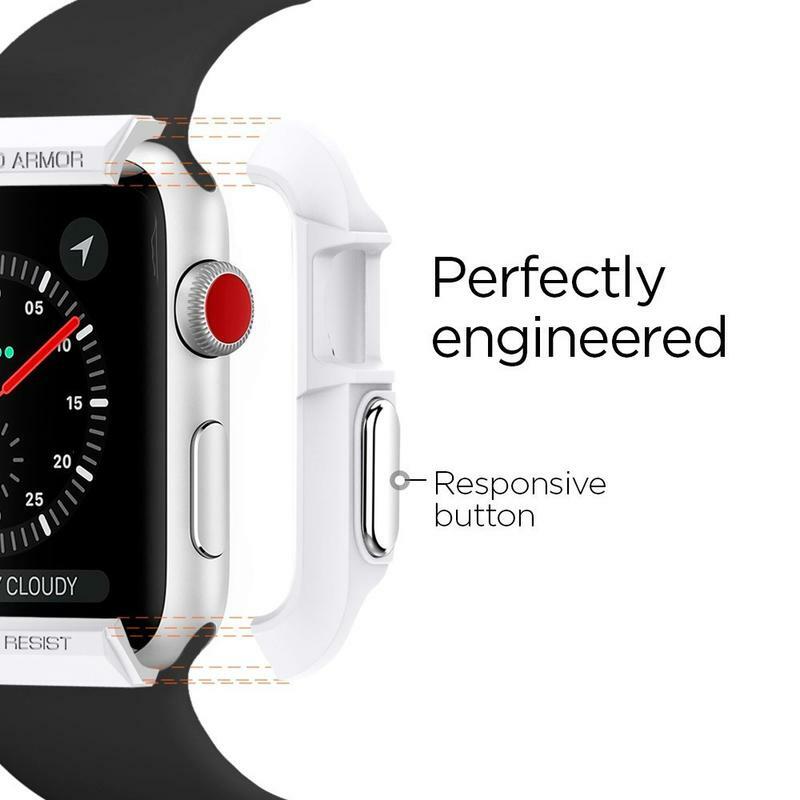 The transparency, meanwhile, doesn’t take away from the hard work Apple’s engineers put in. 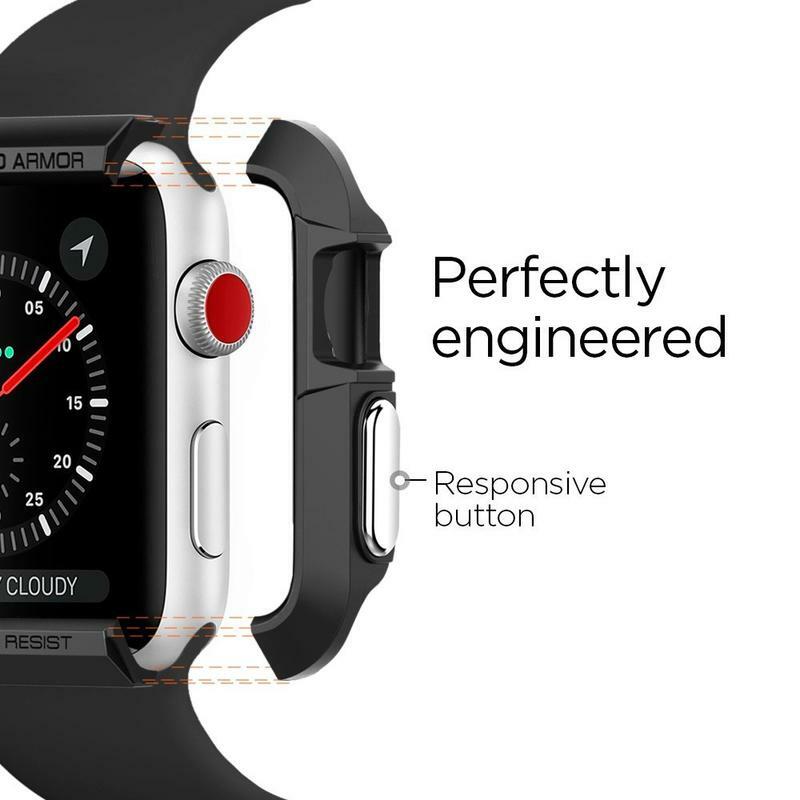 None of the watch face gets covered while remaining shielded. 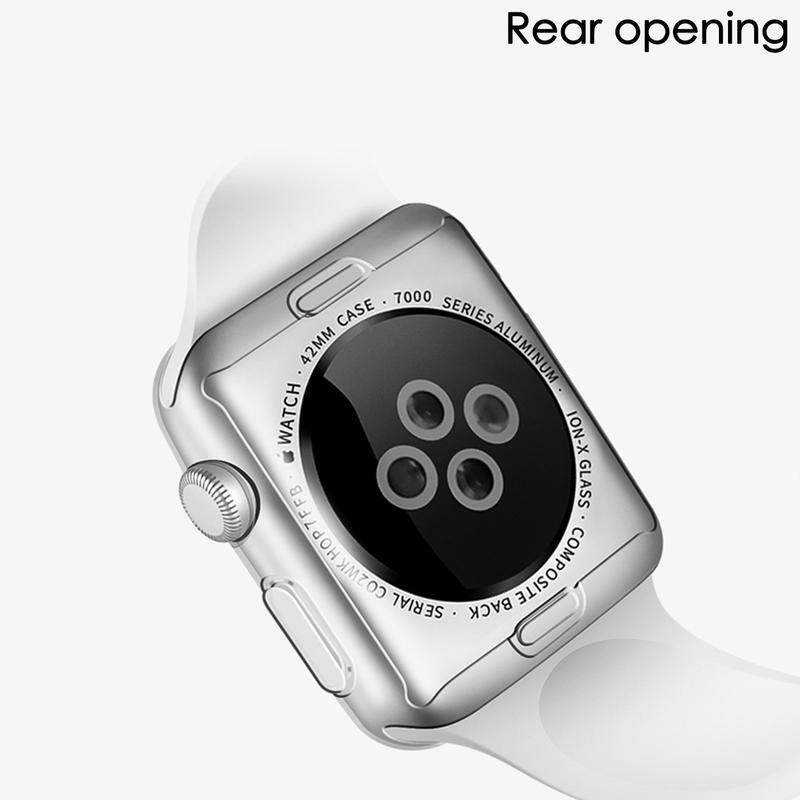 And the sides have cutouts to access the crown and action button easily. Protect your Apple Watch but keep its original look with this case. 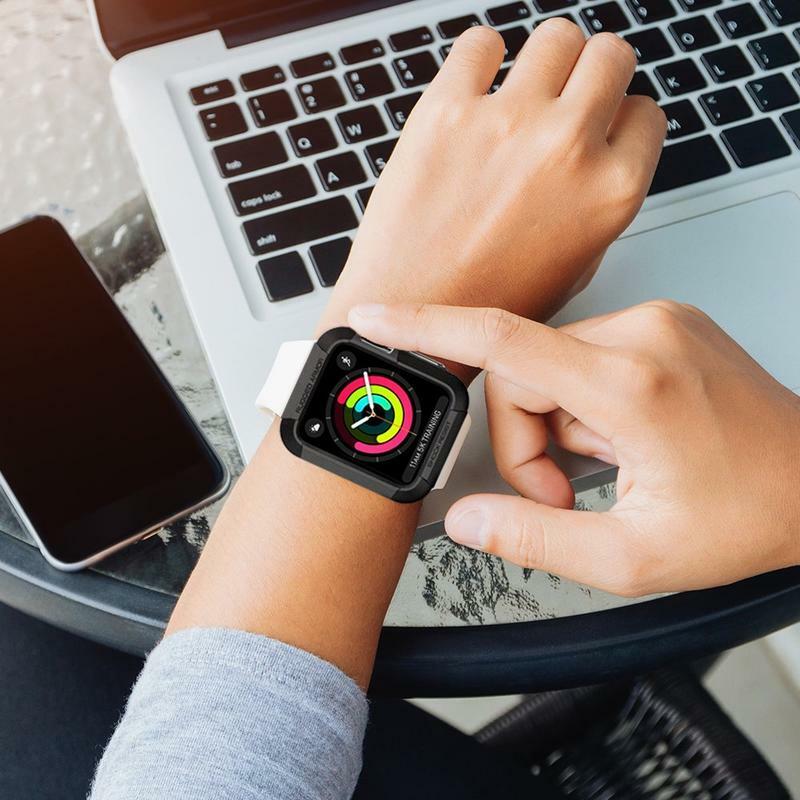 Normally you purchase Spigen’s accessories for phones and laptops, but the well-regarded brand also makes a case for Apple’s smartwatch. 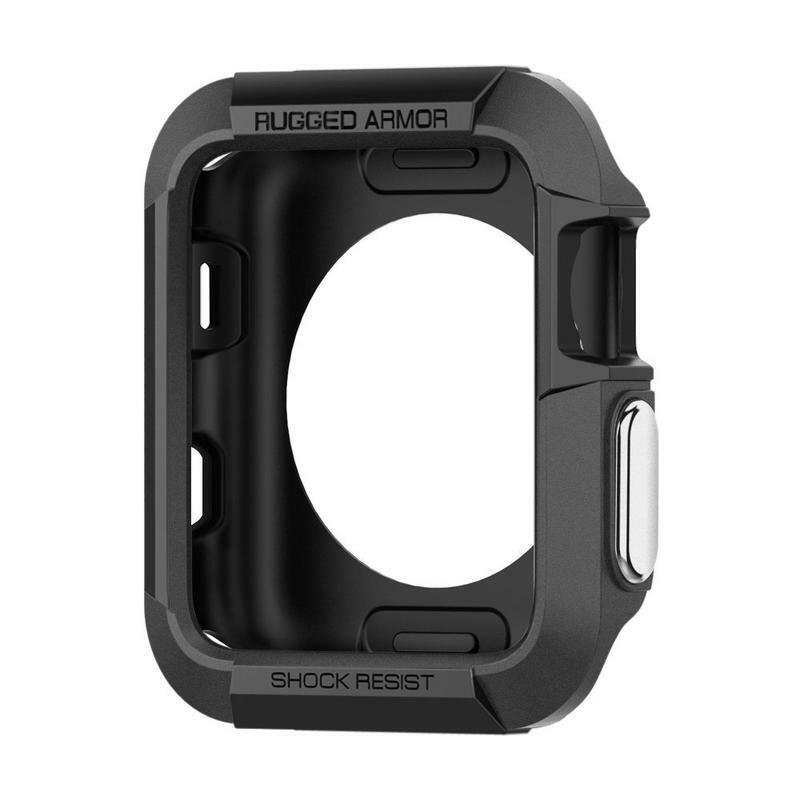 The Rugged Armor Case for the Apple Watch, which comes in your choice of black or white, features a precision fit and is made from flexible rubber. 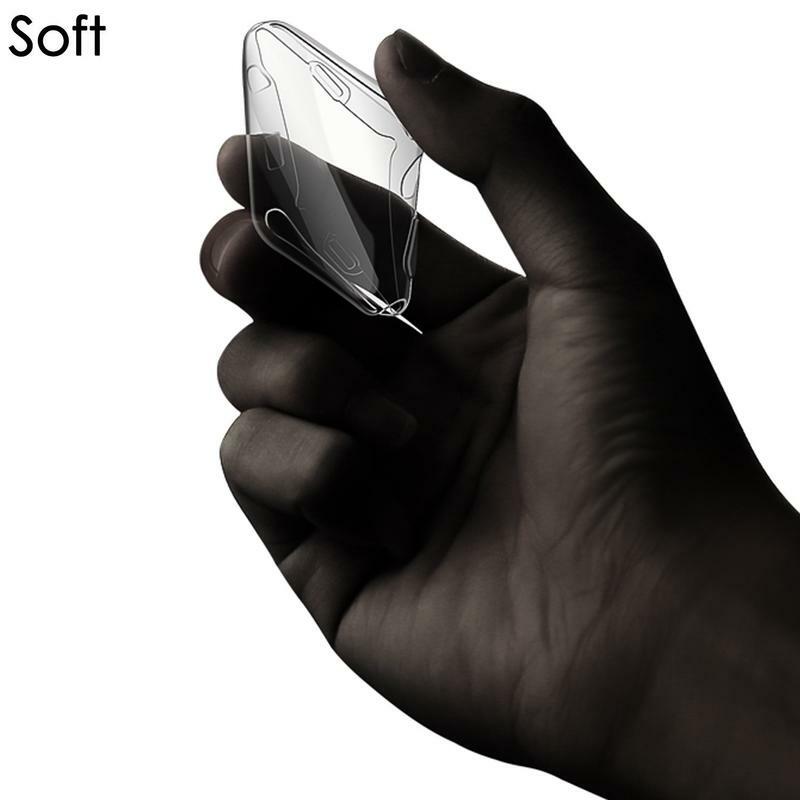 It may be rubber, but we all know that Spigen uses premium materials. There’s also an aluminum cover on the side button for a nice touch. 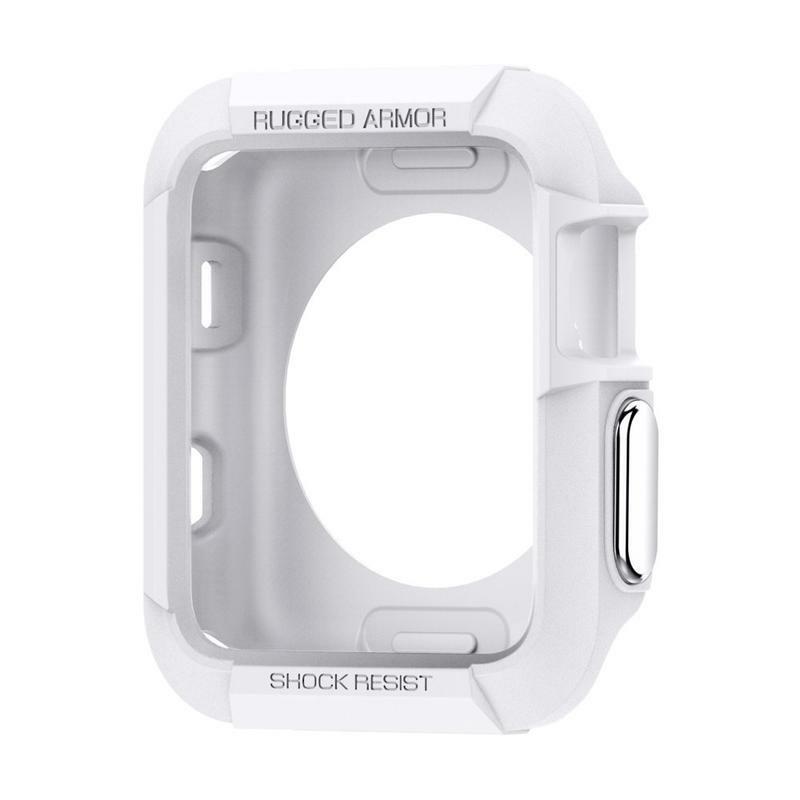 Spigen wasn’t really going for style here, and thus the Rugged Armor Case might not be best for the workplace. It’s better off if you use this on the Apple Watch when working out or on a hike. 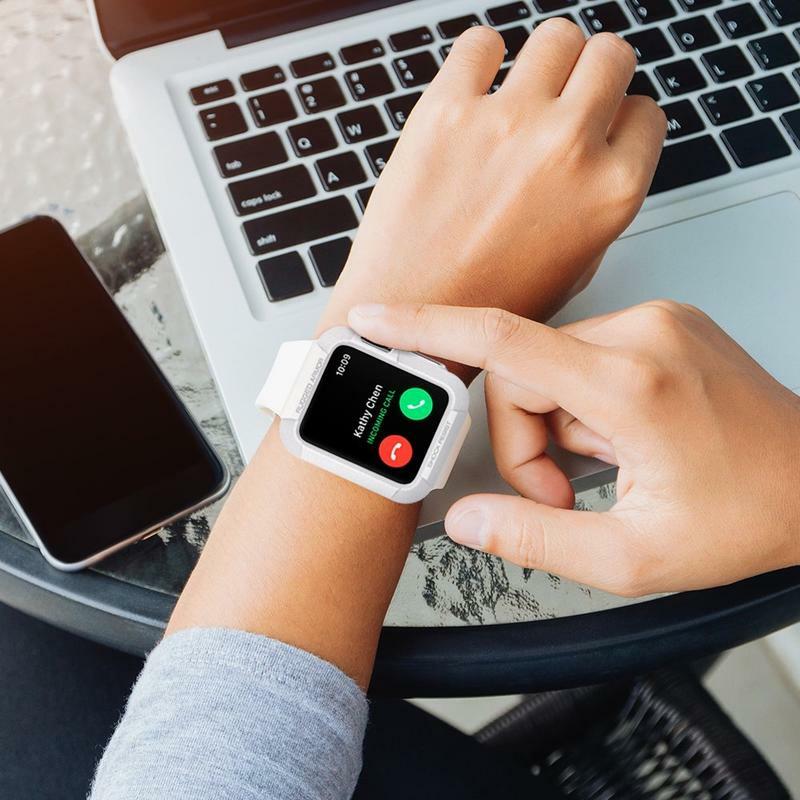 Now your smartwatch will be ready for potential bumps and bruises that would otherwise leave it in not-so-great shape. 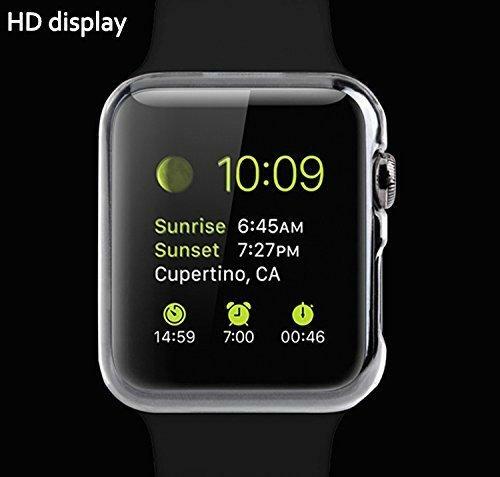 The Apple Watch costs a significant amount of money for most. 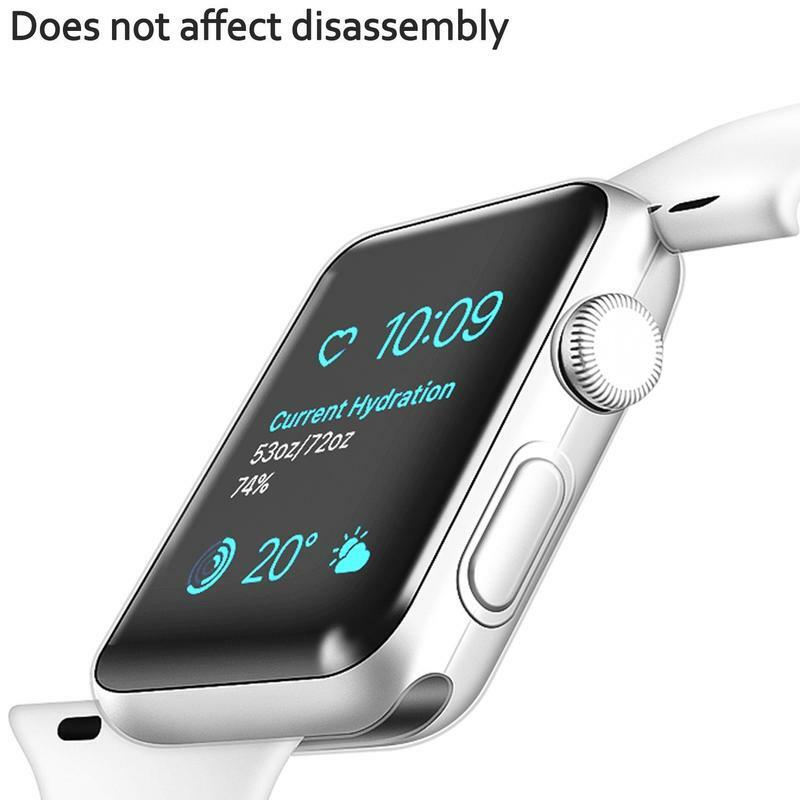 Why take away from its luxurious appearance? 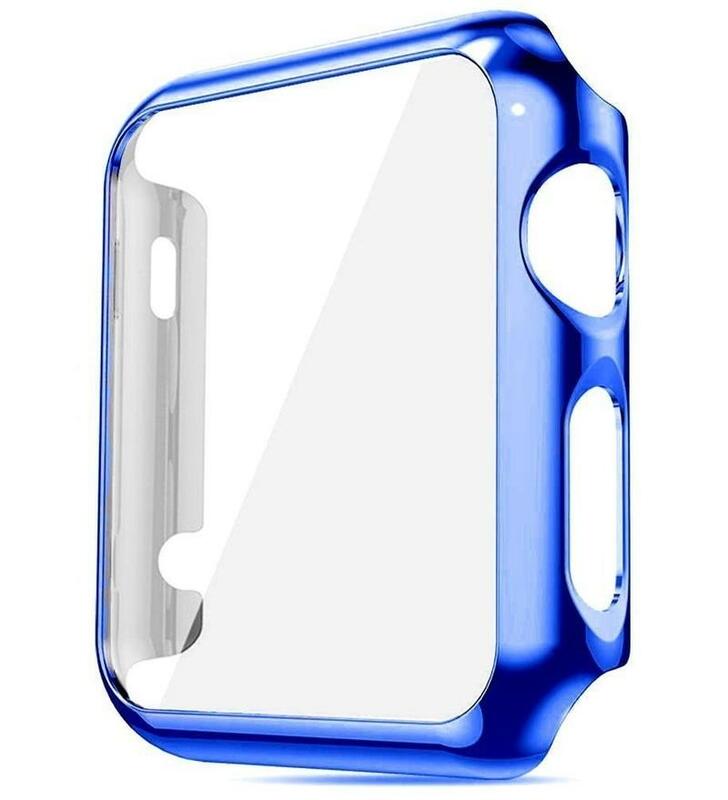 If you get Josi Minea’s Snap-On Case, you’ll have protection and added style. 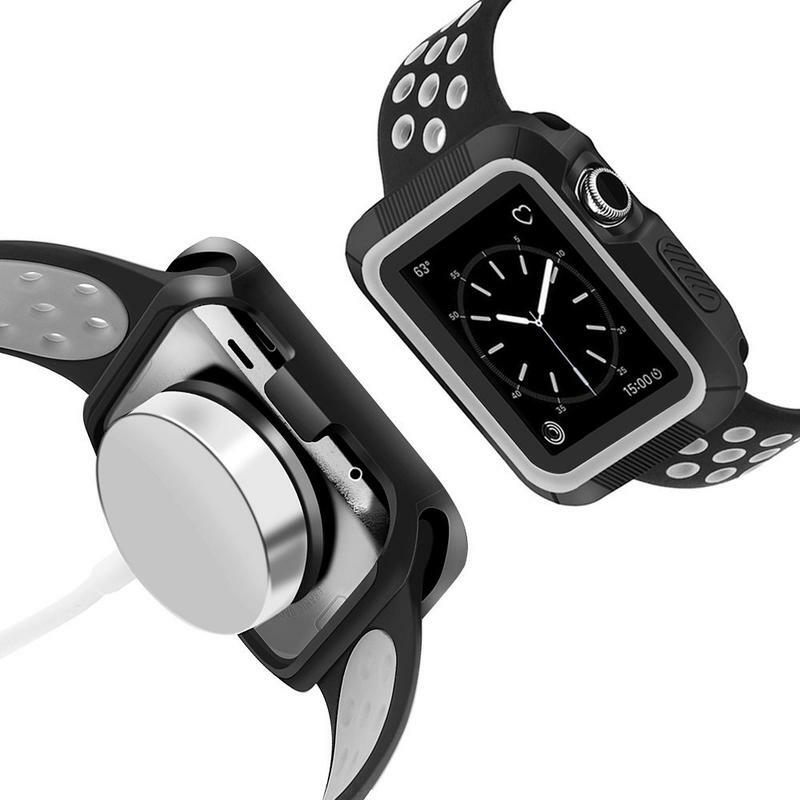 It simply, you guessed it, snaps on to provide thin-but-there protection for your Apple Watch. 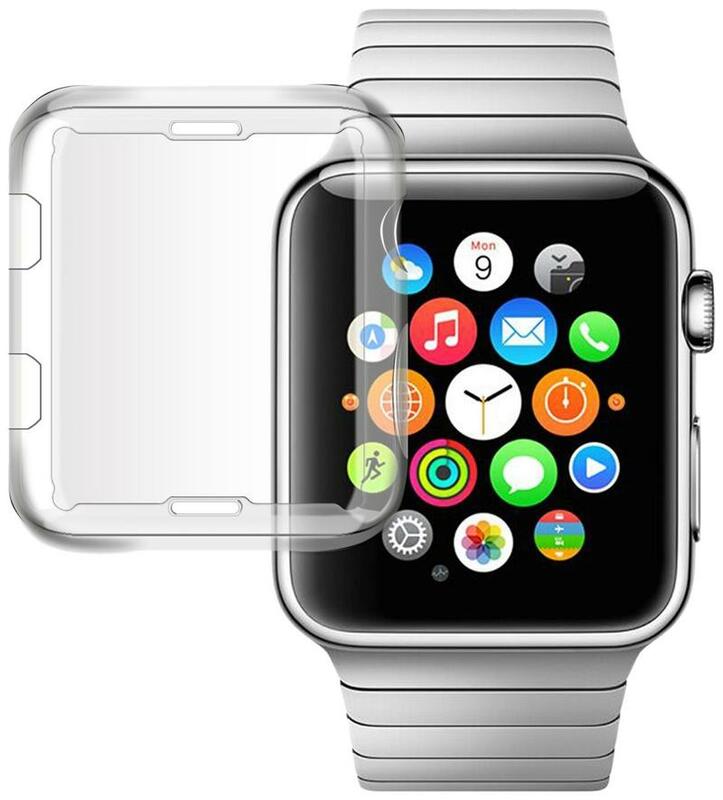 Josi Minea’s case also has a built-in screen protector to keep the Ion-X glass on the smartwatch in prime condition. 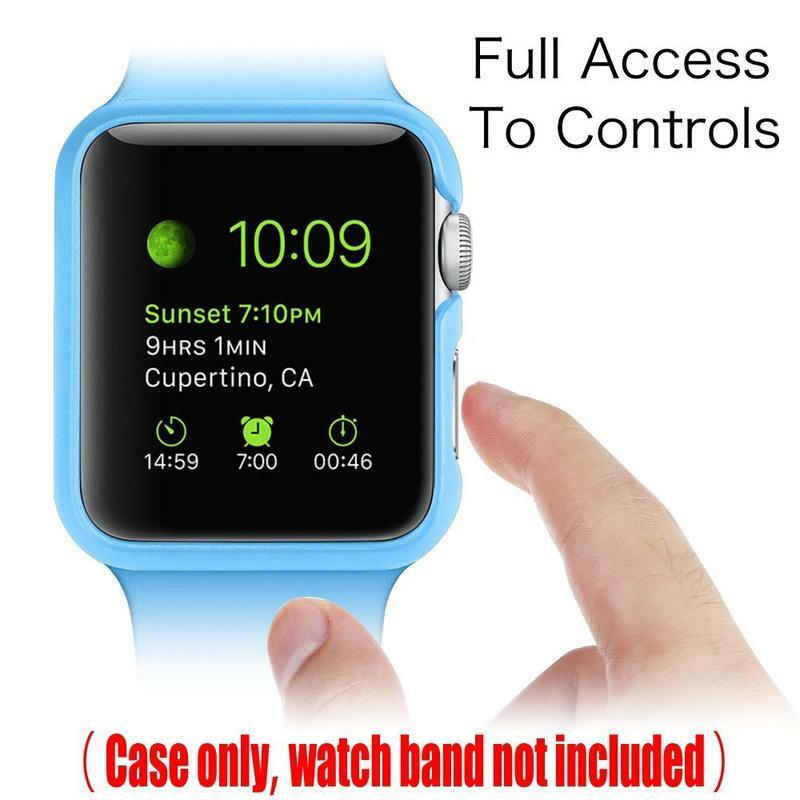 Don’t worry about the price by the way. 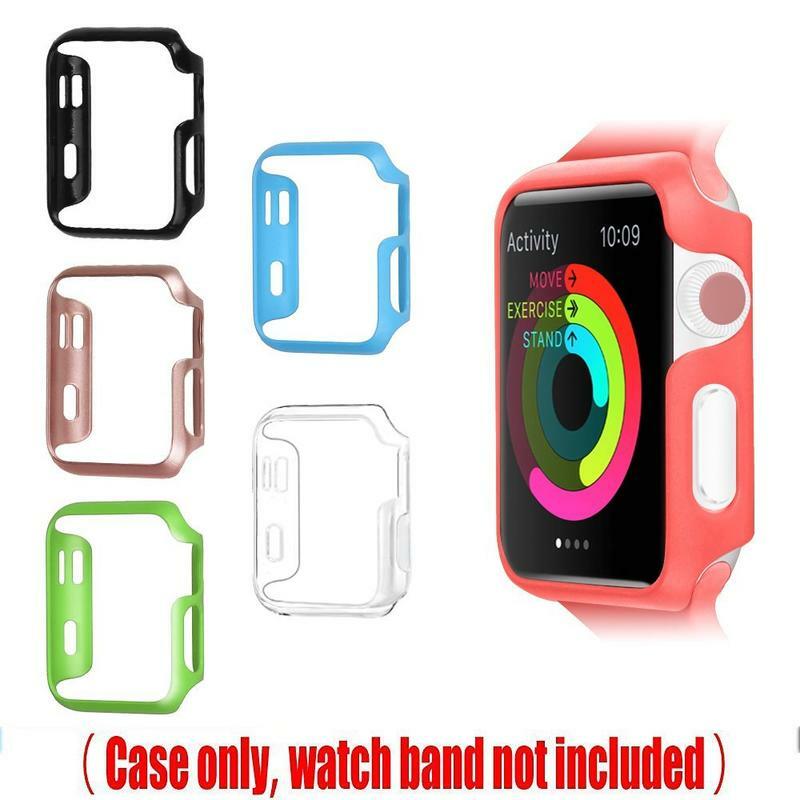 This case costs less than $10 and you get to choose between five colors. 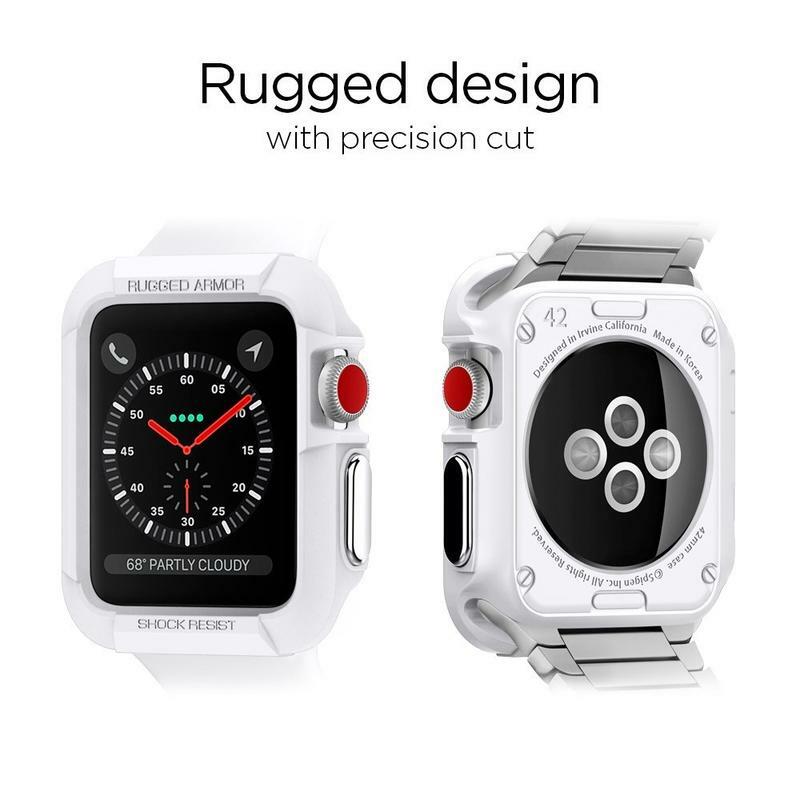 So there’s an opportunity for you to change up your Apple Watch’s style or compliment it with a case that looks similar. One case might not be enough for you. You’re the type of person who wakes up in the morning with a different sense for a particular day, and for you there’s Fintie’s Ultra-Slim Bumper Cover. 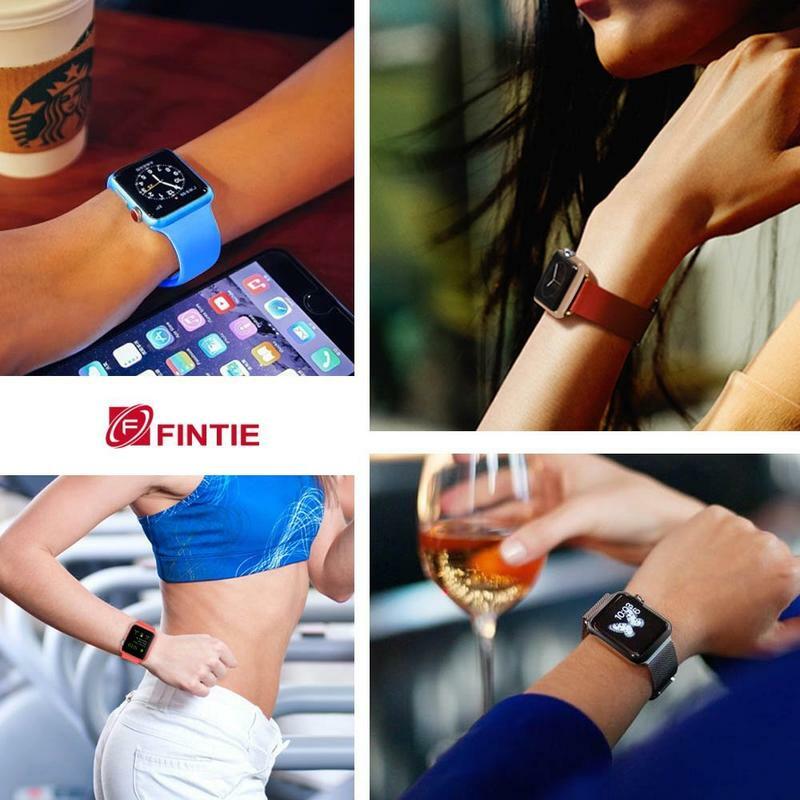 Fintie doesn’t have you making separate purchases to get a few colors. 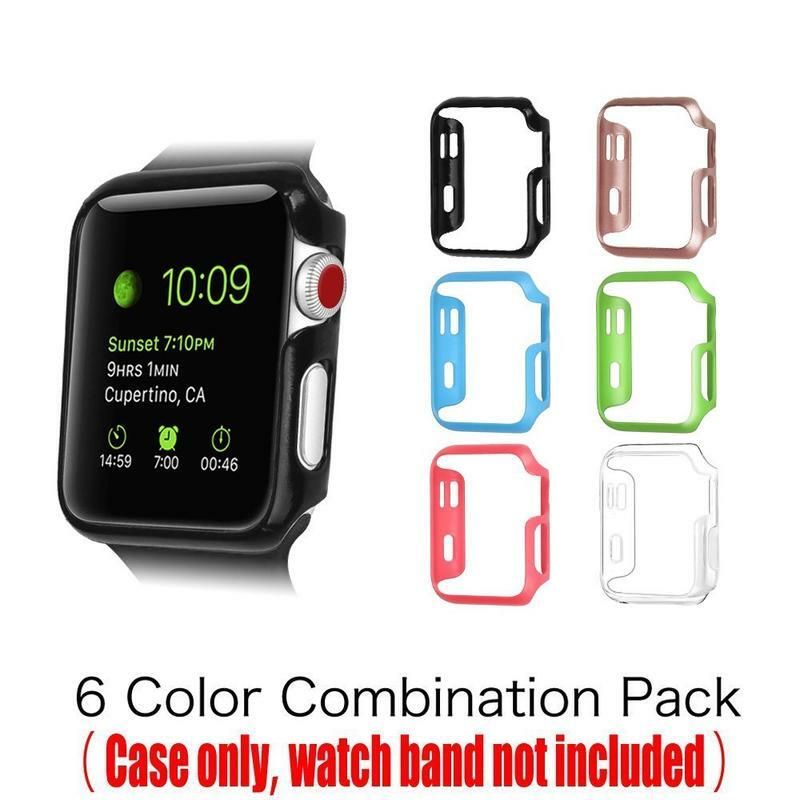 The brand provides six colored cases in a single package for just $10. 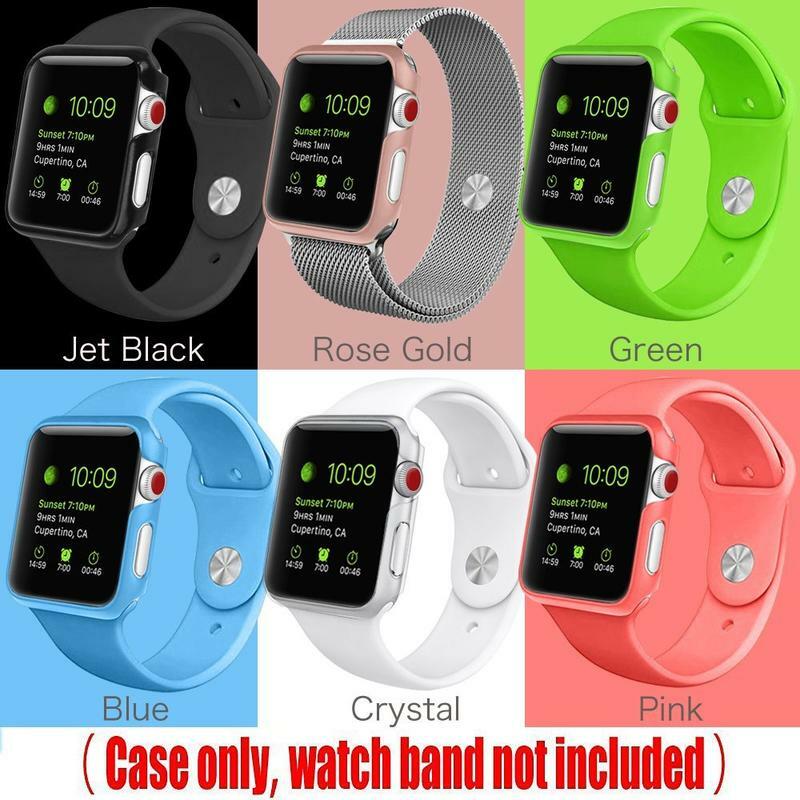 And you’re getting an attractive assortment including Jet Black, Crystal, and Pink among others. Chances are you’ll find at least two or three cases to have in rotation at all times. 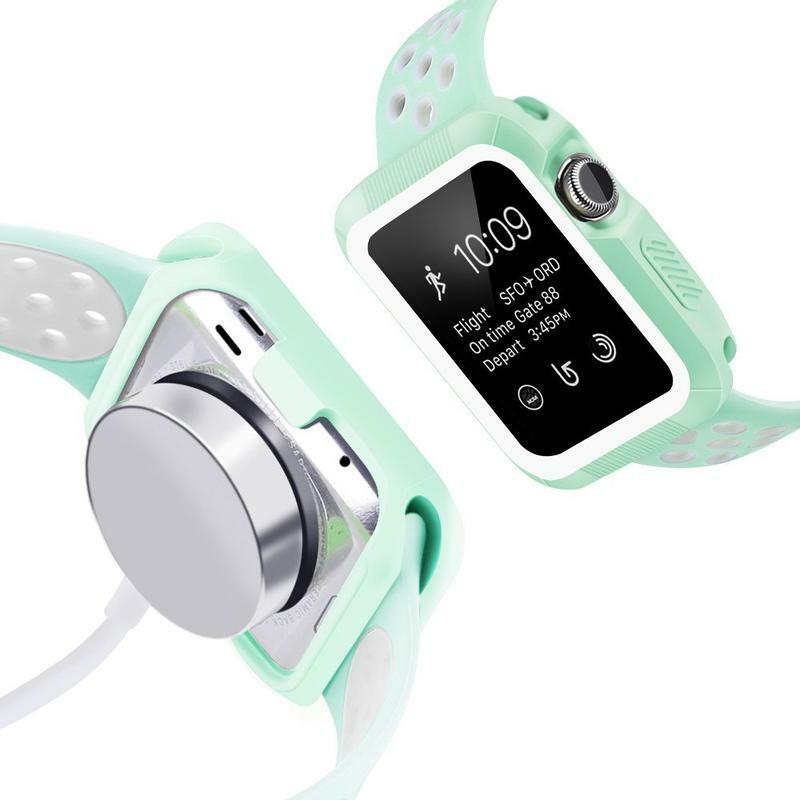 Just about every case you’ll find for the Apple Watch works with every band. 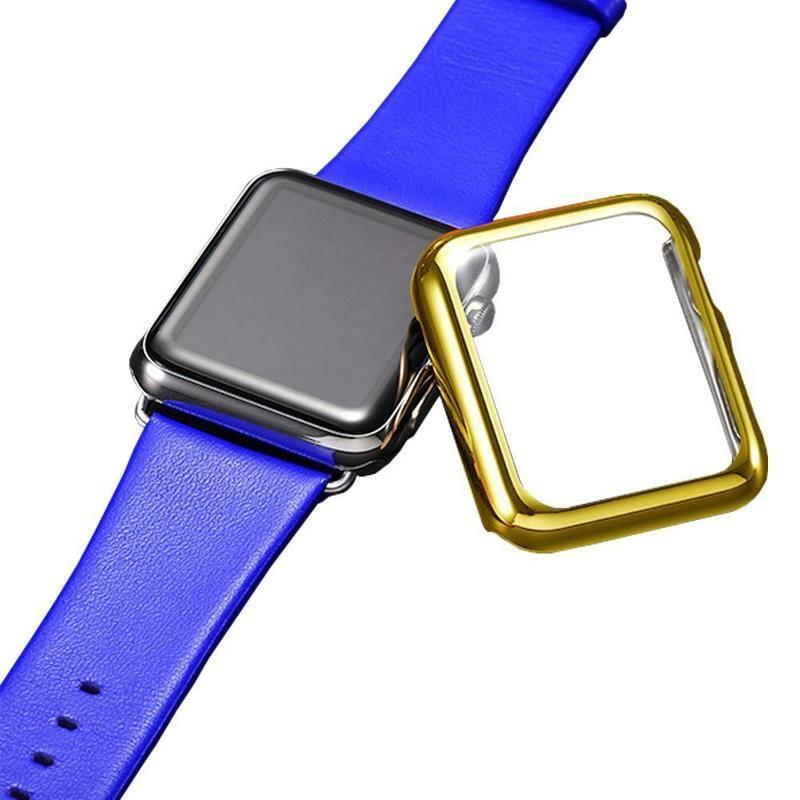 However, maybe you’d like to get those two accessories together in a single item. BRG makes a rubber-based case with the band included, and its design clearly indicates it’s for active people. 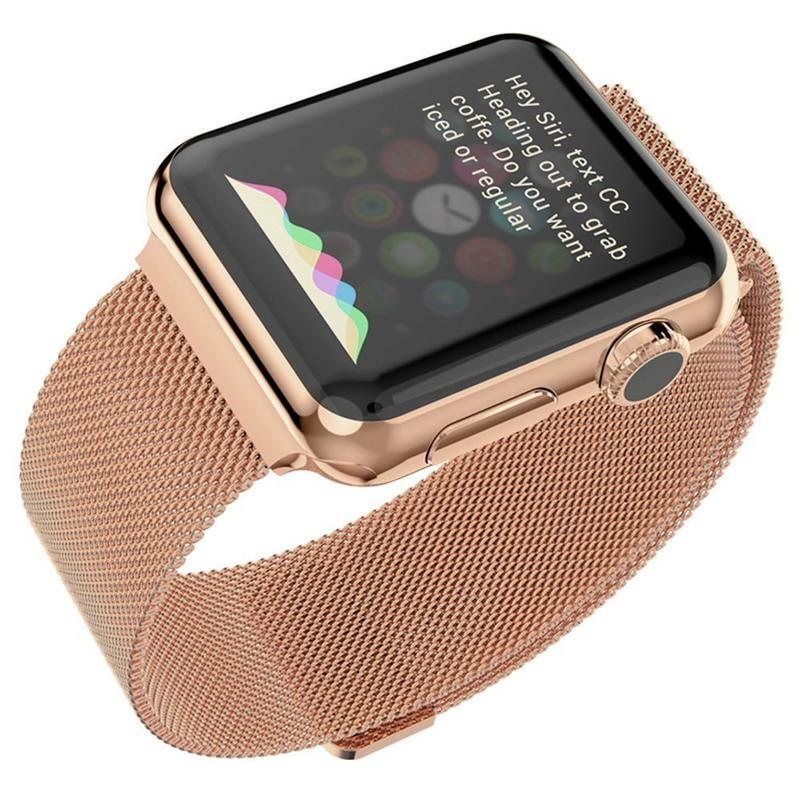 Along the edges of the case is a textured pattern while the band has holes to allow your wrist to breathe. With this case and band combination, your Apple Watch is ready to go out and monitor your runs, weightlifting, and anything else causing you to break a sweat. 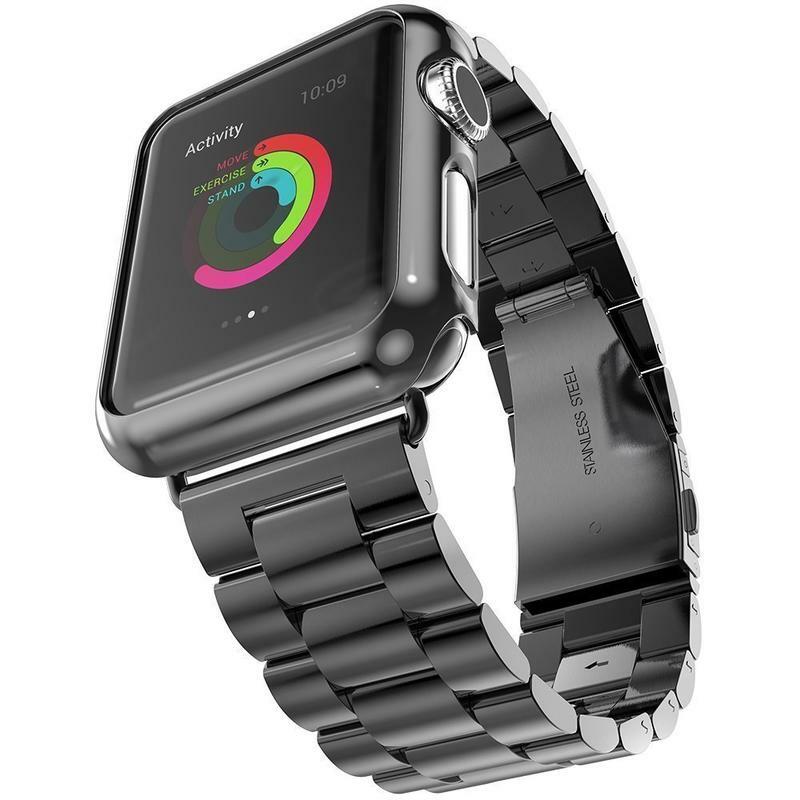 But the moisture-resistant materials stops sweat and water from staining the rubber. There’s no shortage of colors, that’s for sure. BRG sells its two-in-one in more than ten colors with most having a two-tone finish. 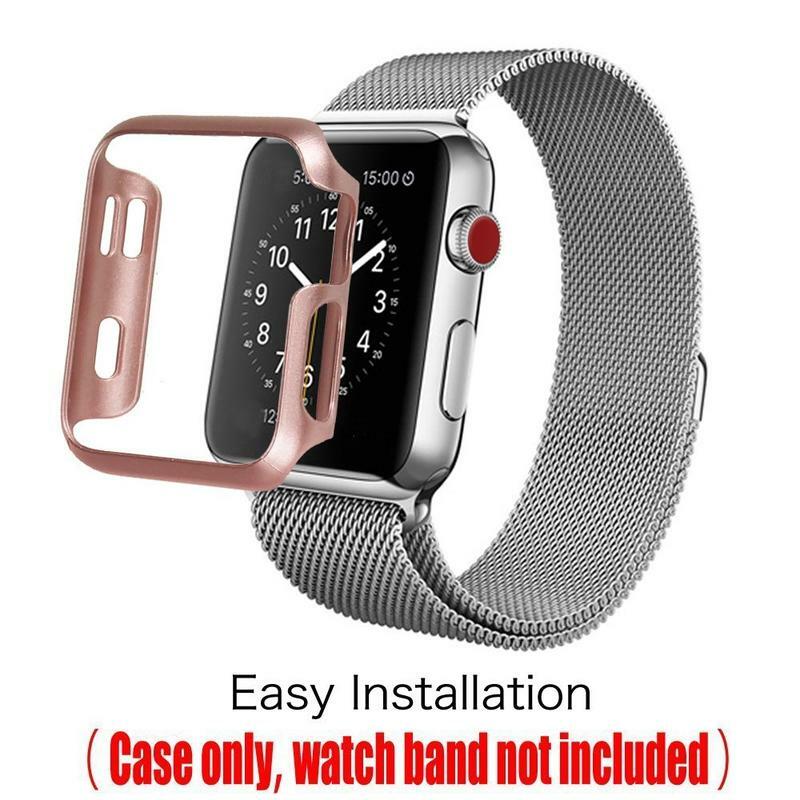 You don’t have to use both accessories simultaneously if you have another case or band that’s more desirable. They’re not attached to each other. 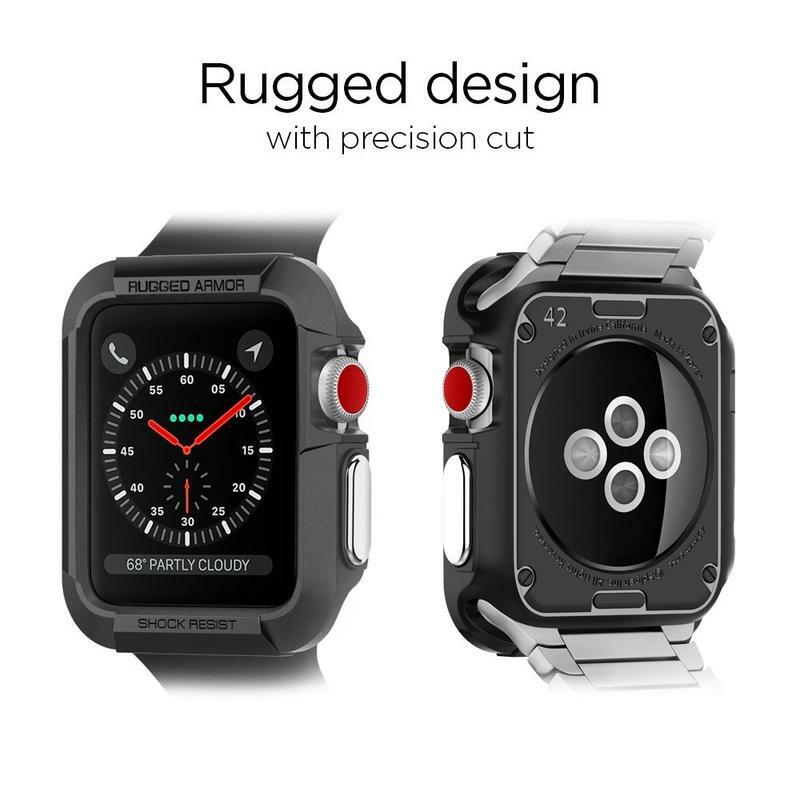 BRG would rather let you pick and choose what you’d like to have on your wrist, but, of course, the two go well together considering they’re from the same brand.